Not only is Manual the best high school in the state, our PTSA is the largest and most influential! This influence is essential as we head into what promises to be a tumultuous year for JCPS. Membership provides you with access to our many communication platforms, including our Facebook group and its Advocacy Page. 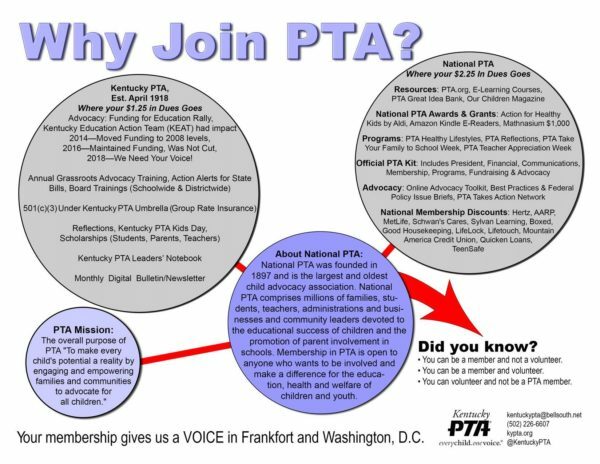 Your PTSA will keep you in the loop and provide you with the fastest updates and alerts as events affecting our community develop. Your support is critical! Every additional member adds power to our voice when we advocate for Manual/YPAS before the school board, local officials, and state & federal legislators. You do not have to volunteer in order to make a difference; your membership alone strengthens our collective voice – not only for your student, but for every student. Please help us build the largest and most impactful membership ever. See the latest Membership news.